Want to drive around Destin in a luxury vehicle, but don’t want to spring for a brand-new Jaguar? Consider the selection of Executive Courtesy Vehicles available at Jaguar Gulf Coast! This limited inventory boasts low-mileage Jaguar models that were previously used solely by our service customers as loaners while their cars were being serviced for parts and regular maintenance. Get in touch with Jaguar Gulf Coast for more information on how to finance any of our Executive Courtesy Vehicles! Yulong White Metallic 2019 Jaguar XE 25t Premium RWD 8-Speed Automatic 2.0L I4 16V Turbocharged Navigation Pro, Rear Seat Convenience Pack, Premium Interior Protection Pack, Adaptive Xenon Headlights w/LED Signature, Auto High Beam Assist, Blind Spot Monitor w/Close Vehicle Sensing, Cold Climate Pack, Connect Pro Package, Emergency Braking, Front & Rear Parking Aids, Headlight Power Wash, Heated Front Seats, Heated Front Windshield, Heated Steering Wheel, Heated Washer Jets, Reverse Traffic Detection, SiriusXM Satellite Radio, Vision Assist Pack, Wheels: 18" 7 Split-Spoke (Style 7009), Wi-Fi Hotspot. 25/34 City/Highway MPG Let the team at Joe Bullard introduce you to an entirely new kind of car-buying experience. You will love doing business with us no matter where you live! If you’re looking for your next Land Rover or Jaguar we have them! We stock over 200 pre-owned cars including all makes and models to fit your lifestyle! We have your next used car, truck or SUV and something for every taste and every need. If you want peace of mind our Certified sales staff and technicians are here to help! We offer a variety of financing opportunities! If you are asking yourself what is my trade worth, we can help you answer that too! Servicing the Mobile Alabama area and we ship to anywhere in the US! We stand up to what we say and its simple! The customer comes first! Visit us at any of our locations or 24/7 at www.joebullard.com. Yulong White Metallic 2019 Jaguar XE 25t Premium RWD 8-Speed Automatic 2.0L I4 16V Turbocharged Navigation Pro, 18" 6 Spoke Style 6006 Wheel, Adaptive Xenon Headlights w/LED Signature, Auto High Beam Assist, Blind Spot Monitor w/Close Vehicle Sensing, Cold Climate Pack, Connect Pro Package, Emergency Braking, Front & Rear Parking Aids, Headlight Power Wash, Heated Front Seats, Heated Front Windshield, Heated Steering Wheel, Heated Washer Jets, Reverse Traffic Detection, SiriusXM Satellite Radio, Vision Assist Pack, Wi-Fi Hotspot. 25/34 City/Highway MPG Let the team at Joe Bullard introduce you to an entirely new kind of car-buying experience. You will love doing business with us no matter where you live! If you’re looking for your next Land Rover or Jaguar we have them! We stock over 200 pre-owned cars including all makes and models to fit your lifestyle! We have your next used car, truck or SUV and something for every taste and every need. If you want peace of mind our Certified sales staff and technicians are here to help! We offer a variety of financing opportunities! If you are asking yourself what is my trade worth, we can help you answer that too! Servicing the Mobile Alabama area and we ship to anywhere in the US! We stand up to what we say and its simple! The customer comes first! Visit us at any of our locations or 24/7 at www.joebullard.com. Fuji White 2019 Jaguar XE 25t Premium RWD 8-Speed Automatic 2.0L I4 16V Turbocharged SMARTPHONE PACK, Adaptive Xenon Headlights w/LED Signature, Auto High Beam Assist, Basic Rear Seat Convenience Pack, Blind Spot Monitor w/Close Vehicle Sensing, Car Care Pack, Chrome Wheel Lock Pack Chrome Locks, Cold Climate Pack, Connect Pro Package, Emergency Braking, Front & Rear Parking Aids, Headlight Power Wash, Heated Front Seats, Heated Front Windshield, Heated Steering Wheel, Heated Washer Jets, Keyless Entry, Navigation Pro, Premium Interior Protection Pack, Reverse Traffic Detection, SiriusXM Satellite Radio, Vision Assist Pack, Wheels: 18" 7 Split-Spoke (Style 7009), Wi-Fi Hotspot. 25/34 City/Highway MPG Let the team at Joe Bullard introduce you to an entirely new kind of car-buying experience. You will love doing business with us no matter where you live! If you’re looking for your next Land Rover or Jaguar we have them! We stock over 200 pre-owned cars including all makes and models to fit your lifestyle! We have your next used car, truck or SUV and something for every taste and every need. If you want peace of mind our Certified sales staff and technicians are here to help! We offer a variety of financing opportunities! If you are asking yourself what is my trade worth, we can help you answer that too! Servicing the Mobile Alabama area and we ship to anywhere in the US! We stand up to what we say and its simple! The customer comes first! Visit us at any of our locations or 24/7 at www.joebullard.com. Yulong White Metallic 2019 Jaguar E-PACE S AWD 9-Speed Automatic 2.0L I4 Turbocharged LIGHT OYSTER MORZINE HEADLINER, 10-Way (8-Way Electric) Front Seats, Auto High Beam Assist, Auto-dimming door mirrors, Black Exterior Package, Fixed Panoramic Roof, Gloss Black Radiator Grille Insert, Gloss Black Side Power Vents, Gloss Black Side Window Surround, Heated door mirrors, Keyless Entry, Power door mirrors, Powered Tailgate, Radio: Meridian 380W Sound System, SiriusXM Satellite Radio & HD Radio, Smartphone Package, Wheels: 18" 9 Spoke Sparkle Silver. 21/28 City/Highway MPG Let the team at Joe Bullard introduce you to an entirely new kind of car-buying experience. You will love doing business with us no matter where you live! If you’re looking for your next Land Rover or Jaguar we have them! We stock over 200 pre-owned cars including all makes and models to fit your lifestyle! We have your next used car, truck or SUV and something for every taste and every need. If you want peace of mind our Certified sales staff and technicians are here to help! We offer a variety of financing opportunities! If you are asking yourself what is my trade worth, we can help you answer that too! Servicing the Mobile Alabama area and we ship to anywhere in the US! We stand up to what we say and its simple! The customer comes first! Visit us at any of our locations or 24/7 at www.joebullard.com. Black 2019 Jaguar E-PACE S AWD 9-Speed Automatic 2.0L I4 Turbocharged Premium Wheels, Navigation / GPS, Leather, Rear Back-Up Camera, Heated Leather Seats, Portable Audio Connection, USB / AUX Ports, Keyless Entry, Memory Seat, Cruise Control, Steering Wheel Controls, 6 Speakers, Adaptive Cruise Control w/Queue Assist, Adaptive Speed Limiter, Blind Spot Assist, Cold Climate Package, Drive Package, Heated Windshield w/Heated Washer Jets, High-Speed Emergency Braking, Navigation system: InControl Navigation Pro, Radio: Jaguar Sound System, R-Dynamic Branded Leather Steering Wheel, Wheels: 18" 9 Spoke Sparkle Silver. 21/28 City/Highway MPG Let the team at Joe Bullard introduce you to an entirely new kind of car-buying experience. You will love doing business with us no matter where you live! If you’re looking for your next Land Rover or Jaguar we have them! We stock over 200 pre-owned cars including all makes and models to fit your lifestyle! We have your next used car, truck or SUV and something for every taste and every need. If you want peace of mind our Certified sales staff and technicians are here to help! We offer a variety of financing opportunities! If you are asking yourself what is my trade worth, we can help you answer that too! Servicing the Mobile Alabama area and we ship to anywhere in the US! We stand up to what we say and its simple! The customer comes first! Visit us at any of our locations or 24/7 at www.joebullard.com. Blue 2019 Jaguar XE 25t Premium RWD 8-Speed Automatic 2.0L I4 16V Turbocharged Premium Wheels, Navigation / GPS, Sunroof / Moonroof, Leather, Rear Back-Up Camera, Heated Leather Seats, USB / AUX Ports, Keyless Entry, Memory Seat, Cruise Control, Steering Wheel Controls, Premium Stereo, Multi-zone Climate Control, 11 Speakers, Adaptive Xenon Headlights w/LED Signature, Auto High Beam Assist, Blind Spot Monitor w/Close Vehicle Sensing, Cold Climate Pack, Connect Pro Package, Emergency Braking, Front & Rear Parking Aids, Headlight Power Wash, Heated Front Seats, Heated Front Windshield, Heated Steering Wheel, Heated Washer Jets, Power moonroof, Radio: Meridian 380W Sound System, Reverse Traffic Detection, Vision Assist Pack, Wheels: 17" 7 Split-Spoke Alloy (Style 7010), Wi-Fi Hotspot. 25/34 City/Highway MPG Let the team at Joe Bullard introduce you to an entirely new kind of car-buying experience. You will love doing business with us no matter where you live! If you’re looking for your next Land Rover or Jaguar we have them! We stock over 200 pre-owned cars including all makes and models to fit your lifestyle! We have your next used car, truck or SUV and something for every taste and every need. If you want peace of mind our Certified sales staff and technicians are here to help! We offer a variety of financing opportunities! If you are asking yourself what is my trade worth, we can help you answer that too! Servicing the Mobile Alabama area and we ship to anywhere in the US! We stand up to what we say and its simple! The customer comes first! Visit us at any of our locations or 24/7 at www.joebullard.com. Caldera Red 2018 Jaguar E-PACE First Edition AWD 9-Speed Automatic 2.0L I4 Turbocharged Premium Wheels, Navigation / GPS, Sunroof / Moonroof, Rear Back-Up Camera, USB / AUX Ports, Keyless Entry, Memory Seat, Cruise Control, Steering Wheel Controls, Premium Stereo, Multi-zone Climate Control, Premium Interior Protection Pack, Wheel Protection Pack Chrome Locks, Rear Seat Convenience Pack, 11 Speakers, Alloy wheels, Heated front seats, Navigation System, Navigation system: InControl Navigation Pro, Radio: Meridian 380W Sound System, SiriusXM Satellite Radio & HD Radio, Split folding rear seat. 28/21 Highway/City MPG Let the team at Joe Bullard introduce you to an entirely new kind of car-buying experience. You will love doing business with us no matter where you live! If you’re looking for your next Land Rover or Jaguar we have them! We stock over 200 pre-owned cars including all makes and models to fit your lifestyle! We have your next used car, truck or SUV and something for every taste and every need. If you want peace of mind our Certified sales staff and technicians are here to help! We offer a variety of financing opportunities! If you are asking yourself what is my trade worth, we can help you answer that too! Servicing the Mobile Alabama area and we ship to anywhere in the US! We stand up to what we say and its simple! The customer comes first! Visit us at any of our locations or 24/7 at www.joebullard.com. Caldera Red 2018 Jaguar E-PACE First Edition AWD 9-Speed Automatic 2.0L I4 Turbocharged Premium Wheels, Navigation / GPS, Sunroof / Moonroof, Rear Back-Up Camera, Leather Seats, Heated and cooled seats, USB / AUX Ports, Keyless Entry, Memory Seat, Cruise Control, Steering Wheel Controls, Premium Stereo, Multi-zone Climate Control, Premium Interior Protection Pack, 11 Speakers, Alloy wheels, Heated front seats, Navigation System, Navigation system: InControl Navigation Pro, Radio: Meridian 380W Sound System, SiriusXM Satellite Radio & HD Radio, Split folding rear seat. 28/21 Highway/City MPG Let the team at Joe Bullard introduce you to an entirely new kind of car-buying experience. You will love doing business with us no matter where you live! If you’re looking for your next Land Rover or Jaguar we have them! We stock over 200 pre-owned cars including all makes and models to fit your lifestyle! We have your next used car, truck or SUV and something for every taste and every need. If you want peace of mind our Certified sales staff and technicians are here to help! We offer a variety of financing opportunities! If you are asking yourself what is my trade worth, we can help you answer that too! Servicing the Mobile Alabama area and we ship to anywhere in the US! We stand up to what we say and its simple! The customer comes first! Visit us at any of our locations or 24/7 at www.joebullard.com. Yulong White 2018 Jaguar XE 35t Portfolio Limited Edition RWD 8-Speed Automatic 3.0L V6 24V Supercharged Premium Wheels, Navigation / GPS, Sunroof / Moonroof, Leather, Rear Back-Up Camera, Heated and cooled seats, USB / AUX Ports, Keyless Entry, Memory Seat, Cruise Control, Steering Wheel Controls, Premium Stereo, Multi-zone Climate Control, 17 Speakers, Alloy wheels, Navigation System, Navigation system: InControl Touch Pro, Power moonroof, Radio: Meridian 825W Sound System w/17 Speakers, SiriusXM Satellite Radio, Ventilated front seats, Wi-Fi Hotspot. 21/30 City/Highway MPG Let the team at Joe Bullard introduce you to an entirely new kind of car-buying experience. You will love doing business with us no matter where you live! If you’re looking for your next Land Rover or Jaguar we have them! We stock over 200 pre-owned cars including all makes and models to fit your lifestyle! We have your next used car, truck or SUV and something for every taste and every need. If you want peace of mind our Certified sales staff and technicians are here to help! We offer a variety of financing opportunities! If you are asking yourself what is my trade worth, we can help you answer that too! Servicing the Mobile Alabama area and we ship to anywhere in the US! We stand up to what we say and its simple! The customer comes first! Visit us at any of our locations or 24/7 at www.joebullard.com. Yulong White 2018 Jaguar XE 35t Portfolio Limited Edition RWD 8-Speed Automatic 3.0L V6 24V Supercharged Navigation / GPS, Sunroof / Moonroof, Rear Back-Up Camera, Leather Seats, Heated and cooled seats, USB / AUX Ports, Keyless Entry, Memory Seat, Cruise Control, Steering Wheel Controls, Premium Stereo, 17 Speakers, Front dual zone A/C, Heated & Cooled Front Bucket Seats, Navigation System, Navigation system: InControl Touch Pro, Power moonroof, Radio: Meridian 825W Sound System w/17 Speakers, SiriusXM Satellite Radio, Split folding rear seat, Ventilated front seats, Wheels: 19" 15 Spoke (Style 1015), Wi-Fi Hotspot. 21/30 City/Highway MPG Let the team at Joe Bullard introduce you to an entirely new kind of car-buying experience. You will love doing business with us no matter where you live! If you’re looking for your next Land Rover or Jaguar we have them! We stock over 200 pre-owned cars including all makes and models to fit your lifestyle! We have your next used car, truck or SUV and something for every taste and every need. If you want peace of mind our Certified sales staff and technicians are here to help! We offer a variety of financing opportunities! If you are asking yourself what is my trade worth, we can help you answer that too! Servicing the Mobile Alabama area and we ship to anywhere in the US! We stand up to what we say and its simple! The customer comes first! Visit us at any of our locations or 24/7 at www.joebullard.com. Fuji White 2018 Jaguar F-PACE 20d Prestige AWD 8-Speed Automatic 2.0L I4 Turbocharged Premium Wheels, Navigation / GPS, Sunroof / Moonroof, Leather, Leather Seats, USB / AUX Ports, Keyless Entry, Memory Seat, Cruise Control, Steering Wheel Controls, Adaptive LED Headlights w/LED Signature DRL, Blind Spot Monitor w/Reverse Traffic Detection, Comfort & Convenience Package, Cooled Front Seats & Heated Rear Seats, Grained Leather Seat Trim, Heated front seats, Memory seat, Navigation System, Perforated Grained Leather Seat Trim, Powered Gesture Tailgate, Split folding rear seat, Vision Package, Wheels: 19" 7 Split-Spoke (Style 7012). 33/26 Highway/City MPG Let the team at Joe Bullard introduce you to an entirely new kind of car-buying experience. You will love doing business with us no matter where you live! If you’re looking for your next Land Rover or Jaguar we have them! We stock over 200 pre-owned cars including all makes and models to fit your lifestyle! We have your next used car, truck or SUV and something for every taste and every need. If you want peace of mind our Certified sales staff and technicians are here to help! We offer a variety of financing opportunities! If you are asking yourself what is my trade worth, we can help you answer that too! Servicing the Mobile Alabama area and we ship to anywhere in the US! We stand up to what we say and its simple! The customer comes first! Visit us at any of our locations or 24/7 at www.joebullard.com. Red 2019 Jaguar F-PACE 25t Premium AWD 8-Speed Automatic 2.0L I4 Turbocharged Navigation / GPS, Sunroof / Moonroof, Rear Back-Up Camera, Heated Leather Seats, USB / AUX Ports, Keyless Entry, Memory Seat, Cruise Control, Steering Wheel Controls, Premium Stereo, Multi-zone Climate Control, 11 Speakers, Adaptive Cruise Control w/Stop & Go, Alloy wheels, Black Exterior Package, Blind Spot Assist, Cold Climate Package, Connect Pro Package, Drive Package, Gloss Black Grille w/Gloss Black Surround, Heated Front & Rear Seats, Heated Steering Wheel, Heated Windshield, High-Speed Emergency Braking, InControl Apps, Power moonroof, Pro Services & Wi-Fi Hotspot, Radio: Meridian 380W Sound System. 22/27 City/Highway MPG Let the team at Joe Bullard introduce you to an entirely new kind of car-buying experience. You will love doing business with us no matter where you live! If you’re looking for your next Land Rover or Jaguar we have them! We stock over 200 pre-owned cars including all makes and models to fit your lifestyle! We have your next used car, truck or SUV and something for every taste and every need. If you want peace of mind our Certified sales staff and technicians are here to help! We offer a variety of financing opportunities! If you are asking yourself what is my trade worth, we can help you answer that too! Servicing the Mobile Alabama area and we ship to anywhere in the US! We stand up to what we say and its simple! The customer comes first! Visit us at any of our locations or 24/7 at www.joebullard.com. Firenze Red Metallic 2018 Jaguar F-PACE 25t Prestige AWD 8-Speed Automatic 2.0L I4 Turbocharged Premium Wheels, Navigation / GPS, Sunroof / Moonroof, Rear Back-Up Camera, Heated and cooled seats, USB / AUX Ports, Keyless Entry, Memory Seat, Cruise Control, Steering Wheel Controls, Premium Stereo, Multi-zone Climate Control, Black Exterior Package, Rear Seat Convenience Pack, Premium Interior Protection Pack, 20" 5 Split Spoke Style 5031 Grey DT Finish, Italian Racing Red, 11 Speakers, Adaptive LED Headlights w/LED Signature DRL, Black Package, Blind Spot Monitor w/Reverse Traffic Detection, Comfort & Convenience Package, Cooled Front Seats & Heated Rear Seats, Gloss Black Grille w/Gloss Black Surround, Gloss Black Roof Rails, Grained Leather Seat Trim, Heated Front Bucket Seats, Heated front seats, InControl Apps, Navigation System, Navigation System w/SD Card-Based Mapping, Perforated Grained Leather Seat Trim, Powered Gesture Tailgate, Radio: Meridian 380W Sound System, Radio: Meridian 825W Surround Sound System, SiriusXM Satellite Radio, Technology Package, Touch Pro, Vision Package, Wheels: 20" 5 Split-Spoke, Wi-Fi Hotspot. 27/22 Highway/City MPG Let the team at Joe Bullard introduce you to an entirely new kind of car-buying experience. You will love doing business with us no matter where you live! If you’re looking for your next Land Rover or Jaguar we have them! We stock over 200 pre-owned cars including all makes and models to fit your lifestyle! We have your next used car, truck or SUV and something for every taste and every need. If you want peace of mind our Certified sales staff and technicians are here to help! We offer a variety of financing opportunities! If you are asking yourself what is my trade worth, we can help you answer that too! Servicing the Mobile Alabama area and we ship to anywhere in the US! We stand up to what we say and its simple! The customer comes first! Visit us at any of our locations or 24/7 at www.joebullard.com. Loire Blue Metallic 2019 Jaguar F-PACE 25t Prestige AWD 8-Speed Automatic 2.0L I4 Turbocharged Premium Wheels, Navigation / GPS, Sunroof / Moonroof, Rear Back-Up Camera, Heated and cooled seats, USB / AUX Ports, Keyless Entry, Memory Seat, Cruise Control, Steering Wheel Controls, Premium Stereo, Multi-zone Climate Control, 11 Speakers, Adaptive Cruise Control w/Stop & Go, Blind Spot Assist, CD/DVD Player, Comfort & Convenience Package, Cooled Front Seats & Heated Rear Seats, Drive Package, Electrically Reclining Rear Seats, High-Speed Emergency Braking, Interactive Driver Display, Navigation Pro, Navigation System, Perforated Grained Leather Seat Trim, Powered Gesture Tailgate, Radio: Meridian 825W Surround Sound System, Rear Seat Remote Release Levers, Technology Package. 22/27 City/Highway MPG Let the team at Joe Bullard introduce you to an entirely new kind of car-buying experience. You will love doing business with us no matter where you live! If you’re looking for your next Land Rover or Jaguar we have them! We stock over 200 pre-owned cars including all makes and models to fit your lifestyle! We have your next used car, truck or SUV and something for every taste and every need. If you want peace of mind our Certified sales staff and technicians are here to help! We offer a variety of financing opportunities! If you are asking yourself what is my trade worth, we can help you answer that too! Servicing the Mobile Alabama area and we ship to anywhere in the US! We stand up to what we say and its simple! The customer comes first! Visit us at any of our locations or 24/7 at www.joebullard.com. Fuji White 2018 Jaguar F-PACE 20d Prestige AWD 8-Speed Automatic 2.0L I4 Turbocharged Premium Wheels, Navigation / GPS, Sunroof / Moonroof, Leather, Rear Back-Up Camera, Heated and cooled seats, USB / AUX Ports, Keyless Entry, Memory Seat, Cruise Control, Steering Wheel Controls, Premium Stereo, Multi-zone Climate Control, 11 Speakers, Black Package, Comfort & Convenience Package, Cooled Front Seats & Heated Rear Seats, Gloss Black Roof Rails, Grained Leather Seat Trim, InControl Apps, Navigation System, Radio: Meridian 825W Surround Sound System, Split folding rear seat, Technology Package, Vision Package. 33/26 Highway/City MPG Let the team at Joe Bullard introduce you to an entirely new kind of car-buying experience. You will love doing business with us no matter where you live! If you’re looking for your next Land Rover or Jaguar we have them! We stock over 200 pre-owned cars including all makes and models to fit your lifestyle! We have your next used car, truck or SUV and something for every taste and every need. If you want peace of mind our Certified sales staff and technicians are here to help! We offer a variety of financing opportunities! If you are asking yourself what is my trade worth, we can help you answer that too! Servicing the Mobile Alabama area and we ship to anywhere in the US! We stand up to what we say and its simple! The customer comes first! Visit us at any of our locations or 24/7 at www.joebullard.com. Santorini Black Metallic 2019 Jaguar E-PACE R-Dynamic AWD 9-Speed Automatic 2.0L I4 Turbocharged Premium Wheels, Navigation / GPS, Sunroof / Moonroof, Leather, Rear Back-Up Camera, Heated and cooled seats, Portable Audio Connection, USB / AUX Ports, Keyless Entry, Memory Seat, Cruise Control, Steering Wheel Controls, Premium Stereo, 11 Speakers, 20" Wheels, Black Exterior Package, Gloss Black Radiator Grille Insert, Gloss Black Side Power Vents, Gloss Black Side Window Surround, Navigation system: InControl Navigation Pro, Radio: Meridian 380W Sound System. 21/27 City/Highway MPG Let the team at Joe Bullard introduce you to an entirely new kind of car-buying experience. You will love doing business with us no matter where you live! If you’re looking for your next Land Rover or Jaguar we have them! We stock over 200 pre-owned cars including all makes and models to fit your lifestyle! We have your next used car, truck or SUV and something for every taste and every need. If you want peace of mind our Certified sales staff and technicians are here to help! We offer a variety of financing opportunities! If you are asking yourself what is my trade worth, we can help you answer that too! Servicing the Mobile Alabama area and we ship to anywhere in the US! We stand up to what we say and its simple! The customer comes first! Visit us at any of our locations or 24/7 at www.joebullard.com. Yulong White Metallic 2019 Jaguar F-PACE 25t Prestige AWD 8-Speed Automatic 2.0L I4 Turbocharged Rear Entertainment / DVD Player, Navigation / GPS, Sunroof / Moonroof, Rear Back-Up Camera, Leather Seats, Heated Leather Seats, USB / AUX Ports, Keyless Entry, Memory Seat, Cruise Control, Premium Stereo, Multi-zone Climate Control, 11 Speakers, Adaptive Cruise Control w/Stop & Go, Adaptive Dynamics Package, Blind Spot Assist, CD/DVD Player, Comfort & Convenience Package, Connect Pro Package, Cooled Front Seats & Heated Rear Seats, Drive Package, InControl Apps, Navigation Pro, Navigation System, Perforated Grained Leather Seat Trim, Powered Gesture Tailgate, Pro Services & Wi-Fi Hotspot, Radio: Meridian 825W Surround Sound System, Rear Seat Remote Release Levers, Technology Package, Wheels: 20" 5 Split-Spoke (Style 5031). 22/27 City/Highway MPG Let the team at Joe Bullard introduce you to an entirely new kind of car-buying experience. You will love doing business with us no matter where you live! If you’re looking for your next Land Rover or Jaguar we have them! We stock over 200 pre-owned cars including all makes and models to fit your lifestyle! We have your next used car, truck or SUV and something for every taste and every need. If you want peace of mind our Certified sales staff and technicians are here to help! We offer a variety of financing opportunities! If you are asking yourself what is my trade worth, we can help you answer that too! Servicing the Mobile Alabama area and we ship to anywhere in the US! We stand up to what we say and its simple! The customer comes first! Visit us at any of our locations or 24/7 at www.joebullard.com. Firenze Red Metallic 2019 Jaguar F-PACE 25t Prestige AWD 8-Speed Automatic 2.0L I4 Turbocharged Premium Wheels, Navigation / GPS, Sunroof / Moonroof, Leather, Rear Back-Up Camera, Heated and cooled seats, USB / AUX Ports, Keyless Entry, Memory Seat, Cruise Control, Steering Wheel Controls, Premium Stereo, Multi-zone Climate Control, 11 Speakers, Adaptive Cruise Control w/Stop & Go, Black Exterior Package, CD/DVD Player, Comfort & Convenience Package, Connect Pro Package, Cooled Front Seats & Heated Rear Seats, Drive Package, Electrically Reclining Rear Seats, Gloss Black Grille w/Gloss Black Surround, Grained Leather Seat Trim, InControl Apps, Interactive Driver Display, Navigation Pro, Navigation System, Navigation system: InControl Navigation Pro, Perforated Grained Leather Seat Trim, Power moonroof, Powered Gesture Tailgate, Pro Services & Wi-Fi Hotspot, Radio: Meridian 825W Surround Sound System, Rear Seat Remote Release Levers, Split folding rear seat, Technology Package, Wheels: 20" 5 Split-Spoke (Style 5031). 22/27 City/Highway MPG Let the team at Joe Bullard introduce you to an entirely new kind of car-buying experience. You will love doing business with us no matter where you live! If you’re looking for your next Land Rover or Jaguar we have them! We stock over 200 pre-owned cars including all makes and models to fit your lifestyle! We have your next used car, truck or SUV and something for every taste and every need. If you want peace of mind our Certified sales staff and technicians are here to help! We offer a variety of financing opportunities! If you are asking yourself what is my trade worth, we can help you answer that too! Servicing the Mobile Alabama area and we ship to anywhere in the US! We stand up to what we say and its simple! The customer comes first! Visit us at any of our locations or 24/7 at www.joebullard.com. Blue 2019 Jaguar F-PACE 25t Prestige AWD 8-Speed Automatic 2.0L I4 Turbocharged Premium Wheels, Navigation / GPS, Sunroof / Moonroof, Leather, Rear Back-Up Camera, Heated and cooled seats, Portable Audio Connection, USB / AUX Ports, Keyless Entry, Memory Seat, Cruise Control, Steering Wheel Controls, Premium Stereo, Multi-zone Climate Control, 11 Speakers, Connect Pro Package, InControl Apps, Navigation Pro, Navigation system: InControl Navigation Pro, Power moonroof, Pro Services & Wi-Fi Hotspot, Radio: Meridian 380W Sound System, Wheels: 19" 7 Split-Spoke (Style 7012). 22/27 City/Highway MPG Let the team at Joe Bullard introduce you to an entirely new kind of car-buying experience. You will love doing business with us no matter where you live! If you’re looking for your next Land Rover or Jaguar we have them! We stock over 200 pre-owned cars including all makes and models to fit your lifestyle! We have your next used car, truck or SUV and something for every taste and every need. If you want peace of mind our Certified sales staff and technicians are here to help! We offer a variety of financing opportunities! If you are asking yourself what is my trade worth, we can help you answer that too! Servicing the Mobile Alabama area and we ship to anywhere in the US! We stand up to what we say and its simple! The customer comes first! Visit us at any of our locations or 24/7 at www.joebullard.com. Yulong White Metallic 2018 Jaguar XF Portfolio RWD 8-Speed Automatic 3.0L V6 24V Supercharged Wheels: 19" 7 Split-Spoke Alloy (Style 7012). 29/20 Highway/City MPG Let the team at Joe Bullard introduce you to an entirely new kind of car-buying experience. You will love doing business with us no matter where you live! If you’re looking for your next Land Rover or Jaguar we have them! We stock over 200 pre-owned cars including all makes and models to fit your lifestyle! We have your next used car, truck or SUV and something for every taste and every need. If you want peace of mind our Certified sales staff and technicians are here to help! We offer a variety of financing opportunities! If you are asking yourself what is my trade worth, we can help you answer that too! Servicing the Mobile Alabama area and we ship to anywhere in the US! We stand up to what we say and its simple! The customer comes first! Visit us at any of our locations or 24/7 at www.joebullard.com. 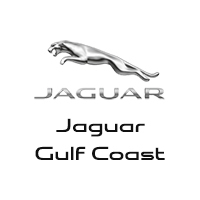 These models sell fast, so head to Jaguar Gulf Coast today to pick out your favorite of the Executive Courtesy Vehicles we have in stock!